Mobile Code, Internet and Computer Networking including : Wireless Mesh Networks, heterogeneous internetworking, Active Networks, Mobile Agents, Overlay Service Networks, Self-healing Networks, Cross-layer Protocol Design and Analysis. Overlay networks are user-definable networks created over the underlying Internet (IP) networks which typically serve end- users with the best-effort service model. In overlay networks, overlay nodes which serve as the service access point and data forwarding facility utilize redundant paths and bandwidths of the Internet to transfer their service data. Since the overlay nodes are owned by the application-service providers (ASP) instead of the Internet Service Provider (ISP), all aspects of the overlay network including topology and application-specific QoS (Quality of Service) can be customized. Several research topics are still open in designing such an overlay network. These include overlay network creation strategy, overlay network topology adaptation, multipath flow routing protocol, application-oriented overlay routing protocol, overlay network service provisioning protocol, etc. Recently, wireless network services are widely available due to the availability of smaller, smarter and cheaper portable devices, inexpensive wireless technology, and mobile user’s demand for “anyone anywhere anytime” information access. There has been much interest in dynamic wireless networks which can evolve/adapt themselves according to the changes of the volume and geographical distribution of services’ demands generated by the end users. One possible solution is to let network equipment such as the wireless service access points or mobile routers change their positions appropriately to such demand changes in order to maintain the service quality and best utilize networking resources. The research topics include user tracking algorithms, users’ demand anticipation algorithms, topology adaptation algorithms, very fast dynamic routing algorithms, etc. Currently, networks become more and more dynamic in terms of both their size and their provided services. The existing execution paradigm of the routers may not react well to such networks’ dynamism. Active networking is the framework which allows sending code (executed at any intermediate network node) with the users’ information inside the data packets. This allows the possibility of highly tailored and rapid “real-time” changes to the underlying network operation according to the dynamism of the networks. For an example, the data packets can decide to change their way themselves when facing link failure or finding better paths. The overlay node is one of the potential applications of the active networking. Active network research addresses the nature of how best to incorporate extremely dynamic capability within networks. The research topics include active code structure, active node execution architecture, active code security, etc. T. T. W. Yee, K. Wipusitwarakun, "Designing reliable virtual service network over open substrate infrastructure", ITCCE-17 (International Conference on Information Technology, Control and Computer Engineering), pp. 186-193, London, United Kingdom, 22-23 March 2017. S. Gordon, X. Huang, A. Miyaji, C. Su, K. Sumongkayothin, and K. Wipusitwarakun, "Recursive matrix oblivious RAM: an ORAM construction for constrained storage devices", IEEE Transactions on Information Forensics and Security, vol. 12, no. 12, pp. 3024-3038, 2017. K. Sumongkayothin, S. Gordon, A. Miyaji, C. Su, K. Wipusitwarakun, "Recursive M-ORAM: a matrix ORAM for clients with constrained storage space", ATIS 2016 (6th International Conference on Applications and Techniques in Information Security), pp. 130-141, Cairns, Australia, 26-28 October 2016. W. Pawgasame and K. Wipusitwarakun, "Analysis of an intruder detection probability for a mobile sensor network in a belt region", ICAIR-CACRE '16 (International Conference on Artificial Intelligence and Robotics and the International Conference on Automation, Control and Robotics Engineering), 6 p., Kitakyushu, Japan, 13-15 July 2016. W. Pawgasame, K. Wipusitwarakun, "Tactical wireless networks: A survey for issues and challenges", ACDT 2015 (The 1st Asian Conference on Defence Technology), pp.101-106, Prachuap Khiri Khan, Thailand, 23-25 April 2015. J. Kerdsri, K. Wipusitwarakun, “Dynamic rendezvous based routing algorithm on sparse opportunistic network environment”, International Journal of Distributed Sensor Networks, vol. 2015, article ID 819178, 12 p., 2015. J. Kerdsri, K. Wipusitwarkun, "Rendezvous based routing opportunistic networks", ICIEIS2014 (3rd International Conference on Informatics Engineering and Information Science), pp. 121-126, Lodz, Poland, 22-24 September 2014. T.T.W. Yee, K. Wipusitwarkun, “Network virtualization and application areas”, ICAST – 2014 (International Conference on Advances in Science and Technology), pp. 9-15, Pattaya, Thailand, 15-16 February 2014. J. Kerdsri, K. Wipusitwarkun, “DORSI: data-wise opportunistic routing with spatial information”, Journal of Convergence Information Technology, vol. 8, no. 13, pp. 91-103, 2013. C. Koweerawong, K. Wipusitwarakun, K. Kaemarungsi, “Indoor localization improvement via adaptive RSS fingerprinting database,” ICOIN 2013 (The International Conference on Information Networking), pp. 412-416, Bangkok, Thailand, 27-30 January 2013. S. Banani, K. Wipusitwarakun, “A multipath routing protocol over chord-based internet indirection infrastructure,” Information Technology Journal, vol. 12, no. 1, pp. 1-14, 2013. S. Sirisutthidecha, K. Wipusitwarakun, “GA-Ethernet: the Global Area Ethernet,” International Proceedings of Computer Science and Information Technology, Vol. 24, pp. 250-256, 2012. C. Koweerawong, K. Kaemarungsi, K. Wipusitwarakun, “Positioning accuracy impact of calibration point reduction in location fingerprinting based on Wi-Fi indoor positioning systems,” ICICTES2012 (The Third International Conference on Information and Communication Technology for Embedded Systems), 5 p., Bangkok, Thailand, 22-24, March 2012. K. Wipusitwarakun, S. Chimmanee, “Application Oriented Flow Routing Algorithm for VoIP Overlay Networks”, IEICE Transactions on Communications, vol.E92-B, no.06, pp. 2054-2064, 2009. K. Wipusitwarakun, “A Distributed Topology Adjustment Algorithm for Wireless Networks with Mobile Base Stations”, ECTI Transactions on Electrical Eng., Electronics and Communications, vol.7, no.1, pp.24-33, 2009. S. Chimmanee, K. Wipusitwarakun, S. Runggeratigul, “Hybrid Neuro-Fuzzy Based Adaptive Load-balancing for Delay- Sensitive Internet Application”, Journal of Intelligent and Fuzzy System, vol.16, no.2, pp.79-93, 2005. S. Chimmanee, K. Wipusitwarakun, S. Runggeratigul, “Adaptive Per-Application Load Balancing with Neuro-Fuzzy to Support Quality of Service for Voice over IP in the Internet”, Lecture Notes in Artificial Intelligent, vol.2773, pp. 533-541, 2003. K. Wipusitwarakun, H. Tode, H. Ikeda: “Design Scheme of Pool Capacity for Efficiently Utilizing Space Capacity in Self- healing Network”, Special Issue on Performance and QoS of Multi-media Networks of IEICE Transaction on Communications, vol.E82-B, no.4, pp.618-626, Apr. 1999. K. Wipusitwarakun, H. Tode, H. Ikeda: “Fast Failure Restoration Algorithm with Reduced Messages Based on Floding Mechanism”, IEICE Transaction on Communications, vol.E80-B, no.4, pp.564-572, April 1997. 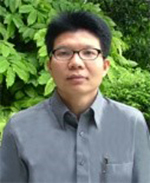 S. Chimmanee, K. Wipusitwarakun, “Regression based SSH-Telnet Metric for Evaluating End-to-End Path Capacity over the Internet for Supporting QoS”, ITST’2008(The 8th International Conference on Intelligent Transport System Telecommunications), pp.264-269, Thailand, 22-24, October, 2008. M. Unhawiwat, K. Wipusitwarakun, “Centroid-Based Movement Algorithm for Mobile Base Station in topology-less Wireless Cellular Networks”, networks 2002 (The 10th International Telecommunication Network Strategy and Planning Symposium), pp.111-117, Germany, 23-27, June, 2002. M. Unhawiwat, K. Wipusitwarakun, “Push-Pull Distributed Movement Algorithm for An Optimized Coverage of Mobile Base Station in Topology-less Wireless Networks”, ITC-CSCC’2002(International Technical Conference on Circuits/Systems, Computers and Communications), pp.1936-1939, Thailand, 16-19, July, 2002. S. Chimmanee, K. Wipusitwarakun, S.Runggeratigul, “Load Balancing for Zone Routing Protocol to Support QoS in Ad Hoc Networks”, ITC-CSCC’2002(International Technical Conference on Circuits/Systems, Computers and Communications), pp.1685-1688, Thailand, 16-19, July, 2002. S. Chimmanee, K. Wipusitwarakun, P. Termsinsuwan, Y. Gando, “Application Routing Load Balancing to Support QoS for VoIP Application over a VPN’s Environment”, NCA’2001(IEEE International Symposium on Network Computing and Applications), pp.94-99, USA, 8-10, October, 2001. S. Kaitpraneet, K. Wipusitwarakun, “Toward Public Electronic Office for Mobile Agents”, ICICS’2001(The 3rd International Conference on Information, communications and Signal Processing), pp.101-105, Singapore, 15-18, October, 2001. S. Kaitpraneet, K. Wipusitwarakun, “Enhanced Dynamic Behavior of Mobile Agents by using Agent-Job-Description written in XML”, ISCIT’2001(International Symposium on Communications and InformationTechnology), pp.457-460, Thailand, 14-16, November, 2001. M. Unhawiwat, K. Wipusitwarakun, “Mobile Base Station Movement Algorithm in topology-less Wireless Cellular Networks”, ISCIT’2001(International Symposium on Communications and InformationTechnology), pp.333-336, Thailand, 14-16, November, 2001. S. Kaitpraneet, K. Wipusitwarakun, “The Management System for Electronic Office for Mobile Agents”, CIT’2001 (The 4th International Conference on Information Technology), pp.37-42, India, 20-23, December, 2001. K. Wipusitwarakun, H. Tode, H. Ikeda, “The Self-healing Algorithm with Priority Based Restoring Function”, in Proc. 8th International Telecommunication Network Planning Symposium (Networks'98), Plenary Session 7, pp.443-448, Sorrento, Italy, Oct. 1998. K. Wipusitwarakun, H.Tode, H.Ikeda, “The Variable Bandwidth VP ATM Network and its Self-healing Performance,” in Proc. IEEE International Conference on ATM (ICATM'98), pp.512-521, Colmar, France, June 1998. K. Wipusitwarakun, H.Tode, H.Ikeda, “A Flooding-Based Failure-Restoration Algorithm with Low Restoration Messages and Rapid Route-Selecting Method”, in Proc. 1997 Asia-Pacific Symposium on Information and Telecommunication Technologies, APSITT'97, 15.3, Hanoi, Vietnam, March 1997.